The 2001-built Eurocopter EC120 B c/n 1196 was testflown with the Eurocopter France test registration F-WQOX. 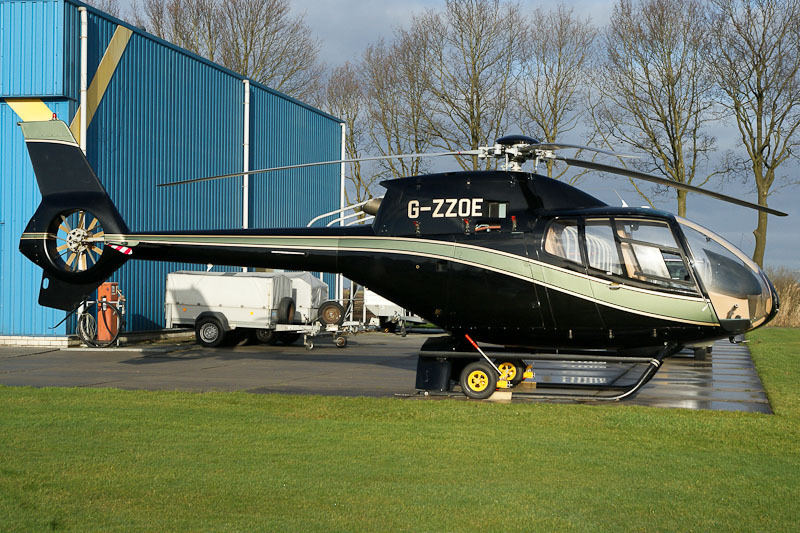 On 21 March 2001, the aircraft was registered G-ZZOE in the UK with McAlpine Helicopters Ltd., Oxford Airport. On 21 August 2001, the helicopter was registered with Loune Ltd., Oxford. On 22 July 2003, Eurocopter EC120 B G-ZZOE was registered with the present owner Jeremy Francis Hall James, Chipping Norton. EC120 B Colibri G-ZZOE was seen at the Heli-Holland heliport near Emmen on 2 January 2013.